Let us take the worry off your shoulders. 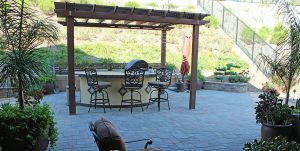 We design, build, and execute – you come out and enjoy! We strive to preserve the environment and offer cost effective options for our valued customers. We will treat your home as our home! All of our designs are cost effective, and the cost of design work is refunded to the cost of our projects. We’ll work with you in understanding your needs and will build designs to your budget. For a landscape that can blossom in the heat, we suggest California native plants, drip irrigation, and a ground cover that helps promote moisture and plant nutrients. We offer various masonry services for both driveways and backyards. 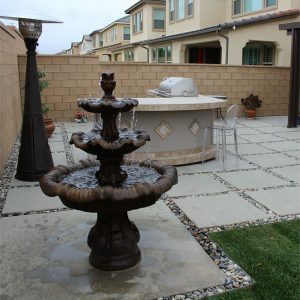 We can offer backyard remodel designs that include patios, firepits, and much more. Retaining walls, garden walls, and showcase features.